We have carved a niche amongst the most dominant names in this domain, engaged in offering Rectangular Tiffin Box (Kids Tiffin Box). 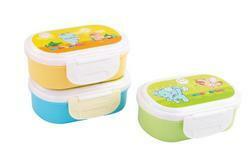 Set Content: Includes one big and one small lunch boxes with spoon and fork. 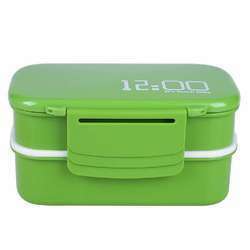 lunch box is perfect for school, travel and day out. The print on the box makes it fun for kids to carry. Includes one big and one small Cabin in box with spoon.